Joint meeting with ACG, the CWO (Communist Workers’ Organisation) and others. All across the world, the capitalists and their political puppets are also trying to prevent any united working class fightback by widening divisions in the working class, such as nationality, race, ethnicity, religion, gender and sexual preference. The xenophobia whipped up before and after the Brexit campaign, the Trump election campaign and the election campaigns of nationalist governments in Hungary and Poland are a few recent examples of what is happening and what is to come. At the same time national states are trying to push the crisis onto capitalists of other states or blocs of states by trade wars. And history tells us that trade wars are the prelude to shooting wars. While imperialist proxy wars continue to rage in the Middle East, Africa and Eastern Europe, and while a new conflict with Iran is being stoked up, increasingly intense global conflicts are being prepared. Nationalism is the main tool being used to recruit workers to support their rulers in these wars. No faction of the capitalist class is worth supporting and none is “a lesser evil”! The alternative is not to do nothing. 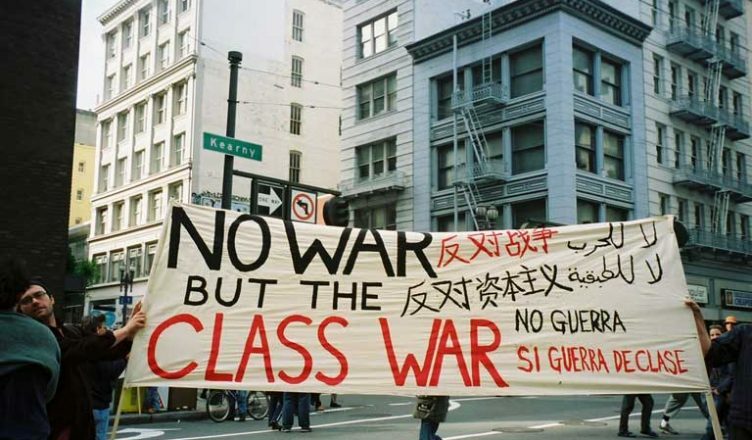 There are already voices being raised under the banner of “No war but the class war!” to challenge the fate that the capitalists are preparing for us. Join them in a public meeting to find out more and make your own contribution. ‘Land and liberty’ has been a key anarchist slogan through-out the world. This is because without land, one cannot survive, and without liberty, we cannot live. 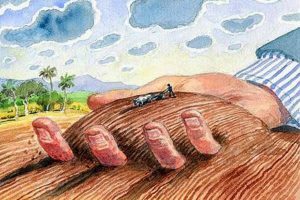 Though often associated with peasant struggles, the struggle for land is as much as issue today in urban areas as it is in the haciendas of Latin America. All our struggles in the city are arise because we do not have control and access to land. Houses, food, community and social spaces, parks and open spaces all are at the mercy of whoever owns the land. And this is extremely unequal. Although a majority of us have a small stake in the 5% of UK land upon which our housing is built, the majority of land (70%) in the UK is owned by just 0.6% of the population. But even land owned by the government is not land controlled by us. Think of Grenfell and the lack of control residents had over their homes that were meant to be in public ownership. Think of the land owned by the Forestry Commission and the Ministry of Defence. This talk will discuss why demands for land justice need to be at the heart of our struggles, both to have common ownership but also liberty to organise how we use the land for the benefit of all. There will be some historical and international examples as well as examples from London.